After more than four years of hard work, Celebrity Cruises has welcomed its ground-breaking ship Celebrity Edge to its fleet. 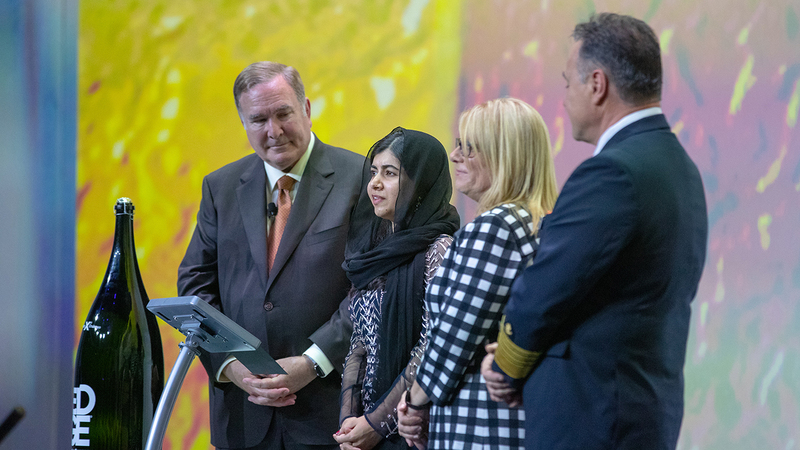 A christening ceremony was held in Fort Lauderdale on 4 December where the ship’s godmother, Nobel Peace Prize laureate Malala Yousafzai, christened the ship ahead of her inaugural cruise. 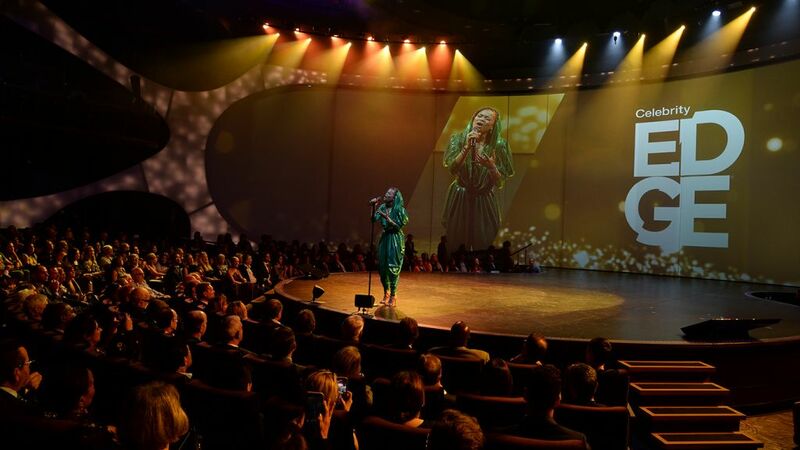 The naming event brought together more than 3,000 guests, employees, crew members and students to commemorate the debut of Celebrity Cruises’ first new ship in six years and its first new ship series in more than a decade. Malala Yousafzai, who is now a student at Oxford University, is the inspirational co-founder of Malala Fund, which advocates for a world where every girl can learn and lead by investing in local education activists, holding global leaders accountable and amplifying girls’ voices around the world. “I’m fighting to ensure millions of girls stuck in situations of poverty or war that they didn’t create can learn what they need to choose a future for themselves,” said Malala Yousafzai, co-founder of Malala Fund. She discussed those issues before the ship’s crew and guests in a one-on-one interview with Celebrity Cruises’ president and CEO, Lisa Lutoff-Perlo. Lutoff-Perlo added: “I am so very proud to have Malala Yousafzai as godmother of Celebrity Edge. Malala embodies our commitment to opening the world through education and gender equality. “Seeing her aboard our ship sends a powerful message to our crew who represent over 70 diverse nationalities, and our guests who we sail all over the world. “The ceremony today was both touching and symbolic of what Celebrity Cruises stands for. Celebrity Edge will begin her inaugural season sailing alternating seven-night eastern and western Caribbean itineraries before transporting guests to the stunning vistas of the Mediterranean with a range of 7 to 11-night sailings from the iconic cities of Barcelona and Rome in 2019.